Left: Fabio and Mike displaying a Canadian buffalo hide. Middle: Another gorgeous buffalo hide. The Select Quality hides are winter buffalo robes - the best quality hides available anywhere. They are tanned in the U.S. and have a soft supple tan in parchment color (not blue) and come with silky fur. Both the hide side and fur side are perfect--no holes, no hair slips, no sewing, no patches, no stains. They are suitable for painting on the backs. They come with tails. The First Grade hides are mostly summer hides that have shorter hair than winter hides. The hides with a gold backing are stiffer than those with a cream or tan backing. There could be patches on the back. The Second Grade hides look fine from the hair side, but have more patches than is normal on the hide side. They are excellent value for money. We only get a handful like this every year. The Short Hair hides have shorter hair and little mane hair. There are no holes or bald spots. The presentation is good, but not as nice as the #1 skins. They are ideal for using in your tee-pee, campsite, or media room. Only limited quantities are available each year. 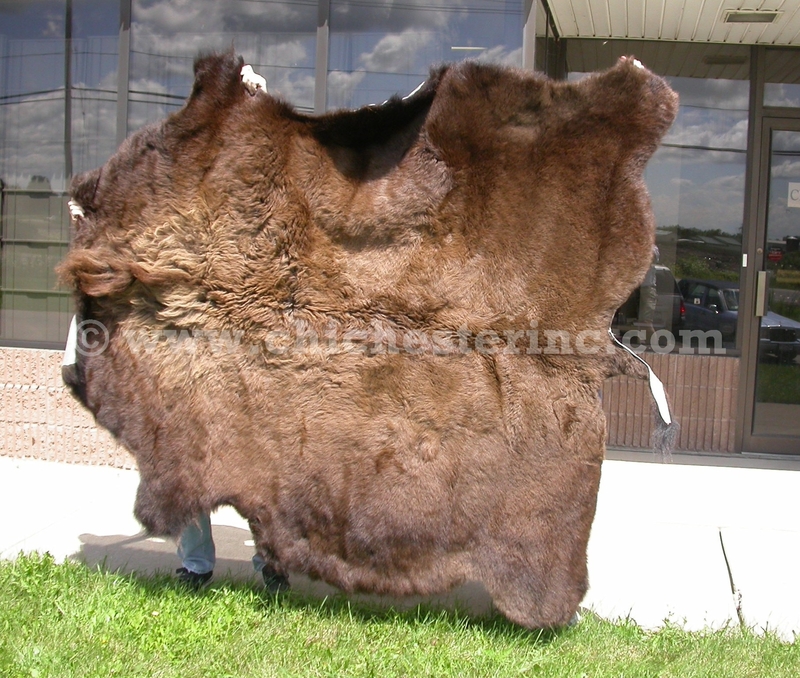 We offer Craft Grade buffalo hides for people who need more material than commonly found in scrap, but not a full #1 hide. These often have quite a bit of fur on them and permit the making of larger craft items. The areas without fur can be used for buffalo leather. Please note that the white areas on the hides are where the hair is missing. The white areas are leather, not white hair. We also cut up some of the Craft Grade hides into Partials for customers who need a sizeable piece of buffalo hide, but less than a whole hide and more than trimmings. We have a limited number of Reject Grade buffalo hides. These are ideal for use in tee-pees or for cutting up. The hair is typically not as long as for the craft grade skins. The hides often have many imperfections. The tanning on the hides is about the same as for the better grade skins. The problems have more to do with hair loss and length than anything else. Our Gxx codes denote individual buffalo hides. If you would like to order a specific hide, please go to our Gallery to pick the exact one shown. 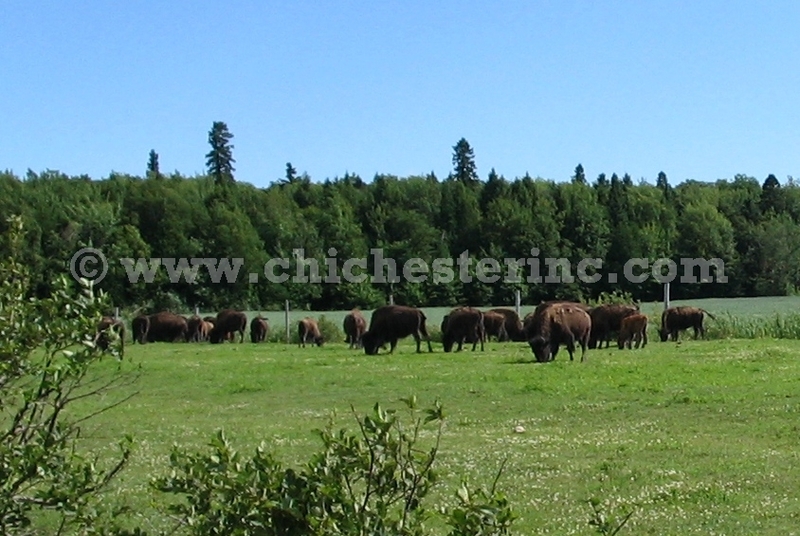 These buffalo come from ranching operations and are not endangered. They are not subject to CITES, but must be inspected by the U.S. Fish and Wildlife service for all imports or exports. 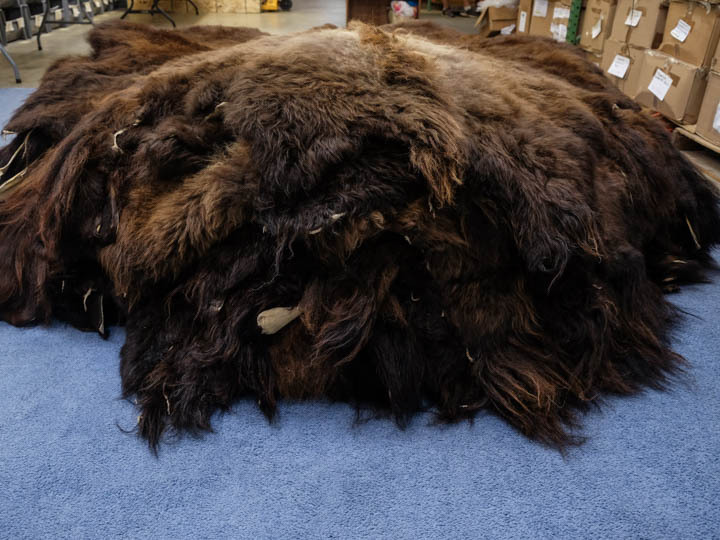 The buffalo hides we sell are a by-product of the food industry. The animals are not killed just for their hides. Q: How much does it cost to ship a buffalo to me? A: Where do you live. We need your shipping address in order to provide a quote. Q: Do the buffalo hides have a smell to them? A: All fur products will have some smell. There is only a slight smell to the buffalo. 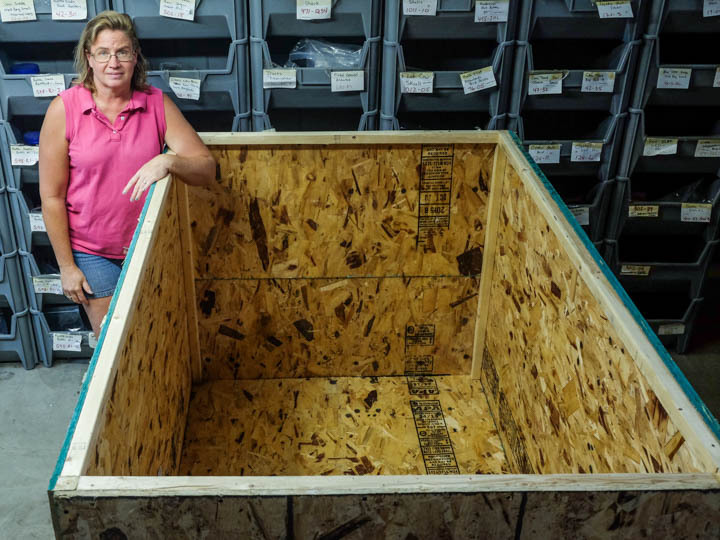 We have a lot of moth balls in our warehouse, so the hides may have a slight aroma for a few days until they air out. Q: Can I return the hide if I don't like it? A: Of course. All we ask is that you let us know within five days of receipt that you are not happy with the hide. You pay shipping and insurance both ways. 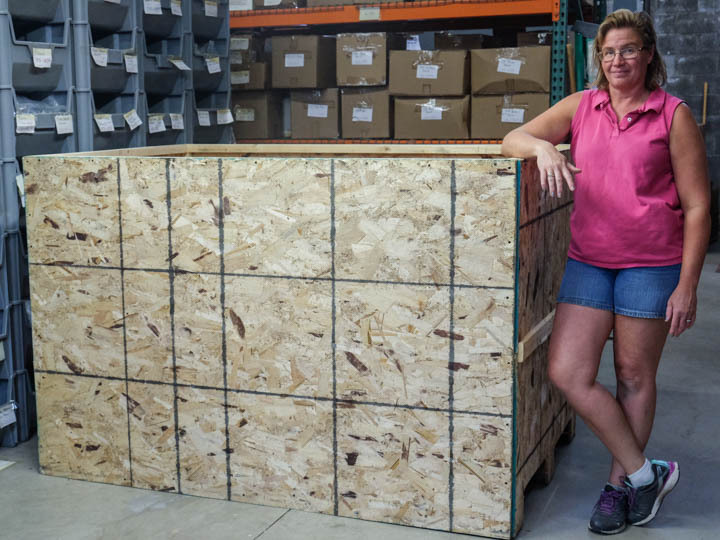 We will refund your payment when the hide arrives in our warehouse in the same condition as when it left. Q: Can I use the hides as a rug or on a couch? A: Yes. The hides do not have a hollow hair. Unlike reindeer or other members of the deer family with hollow hair, buffalo hair does not fall out if you walk on it or sit on it. We cannot guarantee that no hair will ever fall out, but we have never seen extensive shedding or problems with these skins. Q: How do I clean my hide? 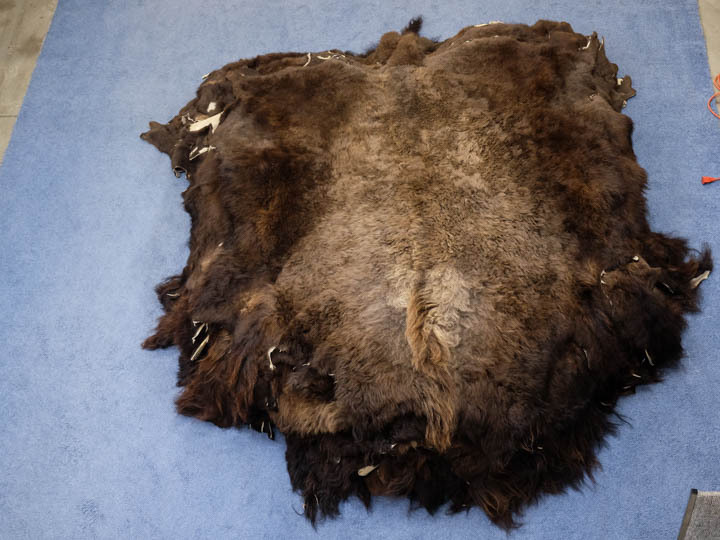 A: The best way to clean a hide is to have a furrier drum this with special chemicals for the fur trade. This usually requires shipping it somewhere and can be expensive. Most people find that beating the hides outside helps to remove dirt. You can use a wool cleaner for small areas (just dampen the area, do not soak the skin). Do not put this skin in a larger washing machine because they are not designed to handle this. Q: Where do the buffalo hides come from? 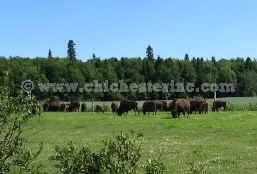 A: Most hides come from buffalo ranches. The animals are raised for meat. The hides are a by-product of the food industry. Q: Can we ship in bulk? A: Yes. 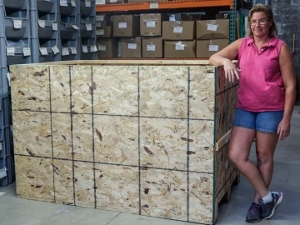 We can ship up to 40 hides at a time using a sturdy crate as seen below.